Gregory R. Carmichael is the Karl Kammermeyer Professor of Chemical and Biochemical Engineering at the University of Iowa. In his 37-year career at the University of Iowa, Carmichael has become a leading authority in the areas of environmental engineering, atmospheric science and air quality through numerous research initiatives, publications and awards. After graduating with a chemical engineering degree from Iowa State University in 1974, Carmichael chose the University of Kentucky as his destination for a graduate degree in chemical engineering because of the opportunities available to study air pollution. He earned his master’s degree in 1976 and his doctorate in 1979. He cites his relationship with his doctoral advisor, Len Peters, as an influential factor that led to an academic career. After graduating, Carmichael joined the faculty of the University of Iowa as assistant professor of chemical engineering. By 1985 he was full professor of chemical and biochemical engineering. He served as chairman of the Department of Chemical and Biochemical Engineering from 1981-1995 and again from 1998-2000. He also held the position of associate dean for graduate studies and research from 2002-2014. Carmichael has mentored 36 master’s degree students and 38 doctoral students. A prolific author whose reputation has led to over 12,000 citations and an h-index of 57, Carmichael’s curriculum vitae boasts approximately 340 career publications, as well as six books and monographs. 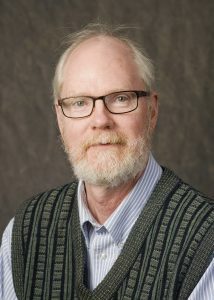 In addition to his own writing, Carmichael has been a longtime editorial board member of the academic journals Environmental Software, Atmospheric Environment, Environmental Fluid Dynamics and Environmental Chemistry. A longtime member of the American Institute of Chemical Engineers (AIChE), Carmichael has been a member of the government relations committee since 2009 and served as chair of the environmental division from 2006-2010. He is also on numerous international advisory boards related to climate forecasting and atmospheric science, including currently chair of the scientific advisory committee of the United Nations World Meteorology Organization Environmental Programs, and a member of NASA’s Earth Science Subcommittee. Carmichael is the co-director of the Center for Global and Regional Environmental Research (CGRER), which he co-founded in 1990. CGRER is a state-funded institute devoted to studying and bettering the environment. The center holds 72 members in universities and institutions across the country. He is also the director of the University of Iowa Informatics Initiative, a campus-wide effort designed to foster collaborations to open new research and scholarship opportunities across campus. Among his many awards and honors, Carmichael is a Fellow of AIChE and was the 2012 recipient of the AIChE Lawrence K. Cecil Award, which recognizes outstanding chemical engineering contributions and achievement in the preservation or improvement of the environment. He received the University of Iowa College of Engineering Outstanding Research Award in 1999, the Iowa Board of Regents Faculty Recognition Award in 1998 and the same year won the International Atmospheric Science and Application to Air Quality, Research Recognition Award. He was given NASA Group Achievement Awards in 2005 and 2009. Carmichael lives in Iowa City, Iowa. He and his late wife, Candace, have one son, one daughter and two grandsons.